Magellan Luxury Hotels – what does it stand for? In this day and age, finding a luxury hotel is as easy as typing a few words in a search engine. There are countless websites and services out there that can point you in the right direction when you’re looking for a lavish hotel, whether we’re talking about business trips or actual vacations. We’ve previously covered quite a few hotels and resorts from all over the world, but today we’re going to focus on a hotel chain service that meets and surpasses all expectations when it comes to comfort and convenience. Magellan Luxury Hotels has established a strong presence all over the globe. This means that you can find hotels collaborating with this company in some of the most popular cities, including New York, Paris, Chicago, London, and even Hawaii. As part of Magellan Vacations, Magellan luxury Hotels relies on a series of Hotel Experience Consultants, which are constantly traveling and staying at the hotels included on offer. Below you will find some of the most luxurious and reputable hotels that have ongoing partnerships with Magellan. 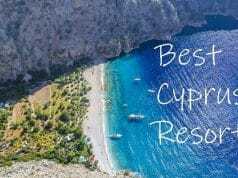 These hotels are the best of the best, and they are located at the hearts of the most sought-after destinations on the globe. They won’t be cheap, and sometimes it might not be easy to book a room there, but they’ll definitely be worth the price. Magellan strives to obtain the best rates and the best rooms for its clients, but ultimately, it’s up to you to decide where you want to stay. Our first stop is at one of the most luxurious hotels in one of the most romantic cities in the world – Paris. 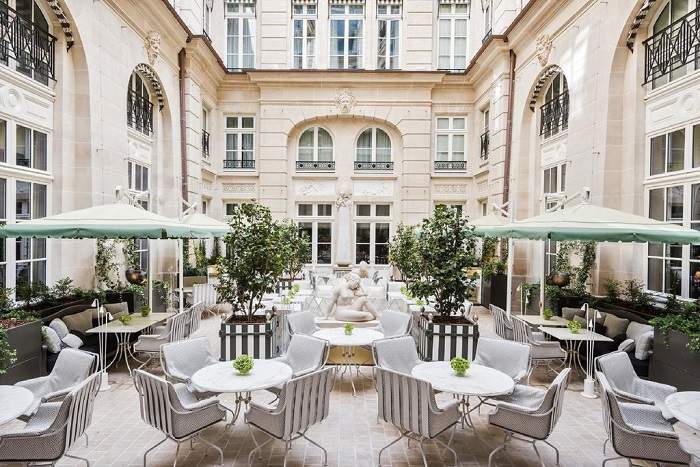 Hotel de Crillon, A Rosewood Hotel has direct ties with Magellan Luxury Hotels, and it stands ready to accommodate its esteemed guests in irreproachable conditions. Surely, a luxurious hotel in Paris is not a novelty, but there’s something about this establishment’s design that allows it to stand out. While the available rooms and suites are lavish and welcoming, the building itself has a classic flair that’s impossible to ignore. The hotel blends the new and the old in sublime balance, thus celebrating the city’s unique spirit and French art de vivre. There are three room types available at Hotel de Crillon, namely Deluxe Rooms, Premier Rooms, and Grand Premier rooms. As for the suites, they follow the same arrangement, as they are divided into Deluxe Suites, Premier Suites, and Grand Premier Suites. There is a third accommodation option available as well, namely Signature Suites, which are aimed at the world’s elite. Other highlights include a wellness center, a fitness studio, a swimming pool, a hair salon, and a Yoga studio. This hotel is also an ideal destination for business meetings and other events such as weddings. It’s nearly impossible to have a bad time in Miami, especially if you’re visiting as part of a holiday trip. 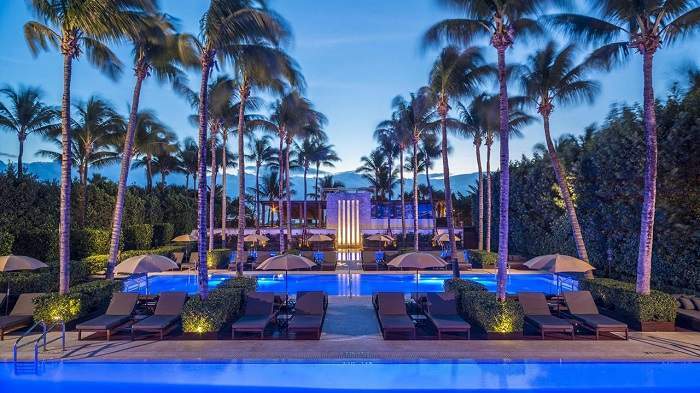 There are countless Miami hotels available all-year-round, but few would be able to hold a candle to The Setai on Miami Beach. If you’d choose to book a room at this unique hotel through Magellan, you’d be able to enjoy complimentary Wi-Fi, and your pets would be able to tag along with you free of charge. Not many luxury hotels accommodate pets happily, so this is a wonderful addition to an already impressive vacation package. The Setai is located just a stone’s throw away from the energetic scene of South Beach, and it attracts wealthy and sophisticated individuals from all over the world year after year. As such, British luxury goods retailer Asprey saw an opportunity and established its own on-site boutique in order to cater to the needs of wealthy travelers. Other highlights of the Setai include modern Asian cuisine as part of Chef Vijayudu Veena’s menu, an open-air Ocean Grill just a few steps away from the beach, as well as the renowned Spa by Themae Paris. Ritz-Carlton is a name that instantly inspires luxury, comfort, and expensiveness. These are the top-choice hotels of the world’s richest individuals – a trend that managed to survive since the days of the first Ritz hotels in the 1920s. Nowadays, the name is owned and managed by a completely different company, but the service quality and level of luxury have remained unchanged. 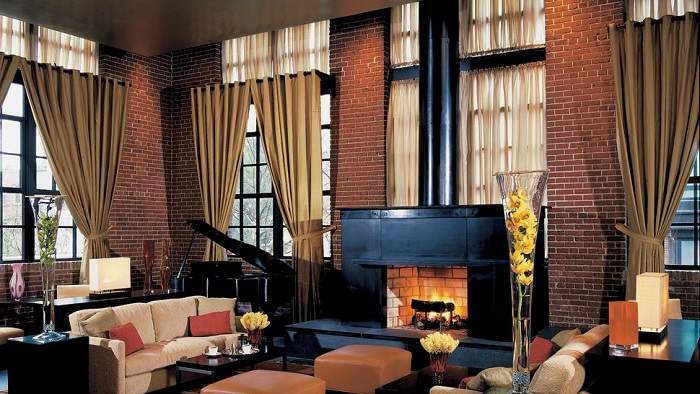 The Ritz-Carlton in Georgetown, Washington operates within a classic building that used to be the town incinerator. While that might sound a bit bleak, keep in mind that this happened a very long time ago, and today, this is one of the most luxurious and prestigious buildings in the city. Actually, the Ritz decided to keep the old exposed brick hallways, ironwork and steel beams in order to tap into that unique 1920s club-like ambiance. 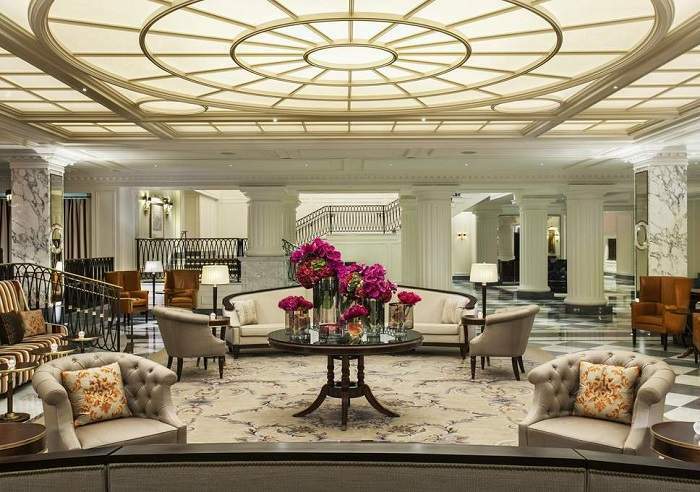 As one of Ritz-Carlton’s few boutique hotels, this place has just 86 rooms, but its location at the heart of Georgetown certainly makes up for it. There’s also a fitness center on site, as well as a nearby Loews Cineplex movie theater. Magellan perks include an overnight shoe shine service, as well as complimentary house car service. London, the Big Smoke, the capital of England, is filled with unique landmarks and prestigious hotels, including the Savoy. This is considered London’s very first luxury hotel, as it has a reputation that dates back a century. Many of the hotel’s 260+ rooms afford beautiful views of the River Thames, while the building itself is located in proximity to Covent Garden and Trafalgar Square. 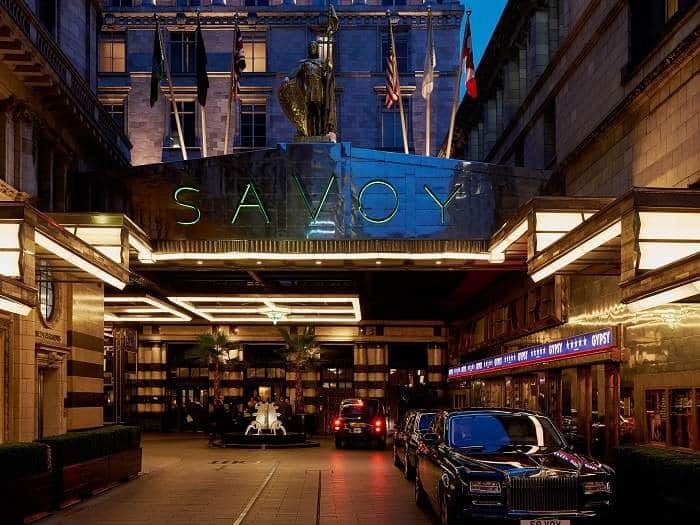 Since this is London we’re talking about, the Savoy employs its own team of professional butlers, all trained to respect traditional English etiquette and discipline. Apart from this butler service, the Savoy’s esteemed guests can also enjoy unique shopping opportunities, as well as delicious meals at the local grill. Through Magellan, you can take advantage of 24-hour in-room dining services, complimentary upgrades on select rooms and suites, as well as complimentary Wi-Fi. With its vibrant exterior design and lavish interiors, Hotel Del Coronado is one of San Diego’s most prized possessions. This place has been around for the better part of 120 years, which means that its roots are deeply embedded into San Diego’s unique culture and charm. 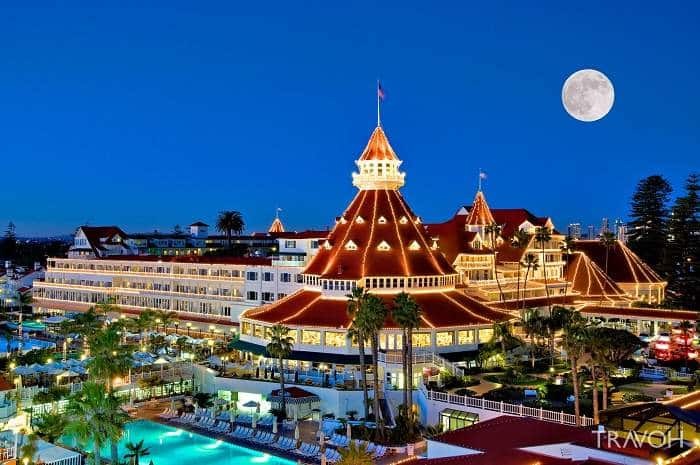 Hotel Del Coronado is a National Historic Landmark, and it boasts a spectacular red roof that has been preserved with great care over the decades. Located on Coronado Island, the hotel offers a chance to escape the busy lifestyle of the city, and as such, it stands ready to provide memorable moments of relaxation and pampering. During your stay, you can rent luxury chairs or cabanas close to the beach, relax poolside, or enjoy surfing or paddle boarding. As for the rooms themselves, there are plenty of options to choose from, including Victorian Queen rooms, Victorian Resort rooms, Tower/Cabana, Victorian Junior Suites, or Coastal View Victorian. The property covers a total of 28 acres, and Magellan makes sure that you get complimentary Wi-Fi access during your stay. 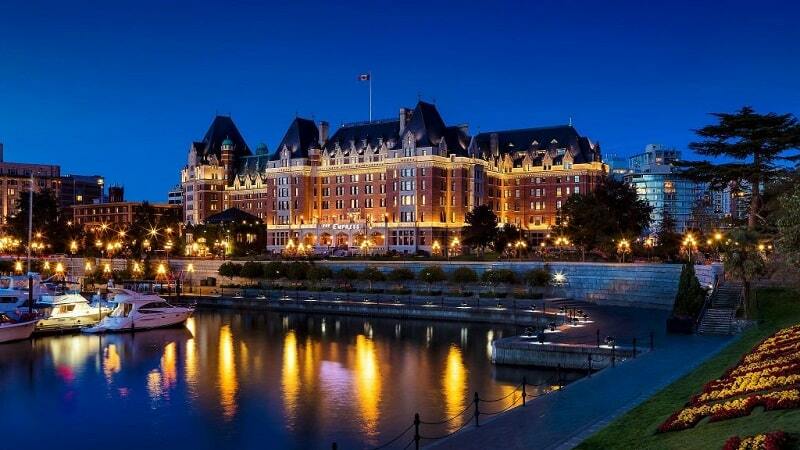 The most populous city of Canada, Toronto, is home to an incredibly stylish hotel named The St. Regis. This place was inspired by the memorable aesthetic of classic black and white Hollywood movies, and it was created to impress its guests at every turn. 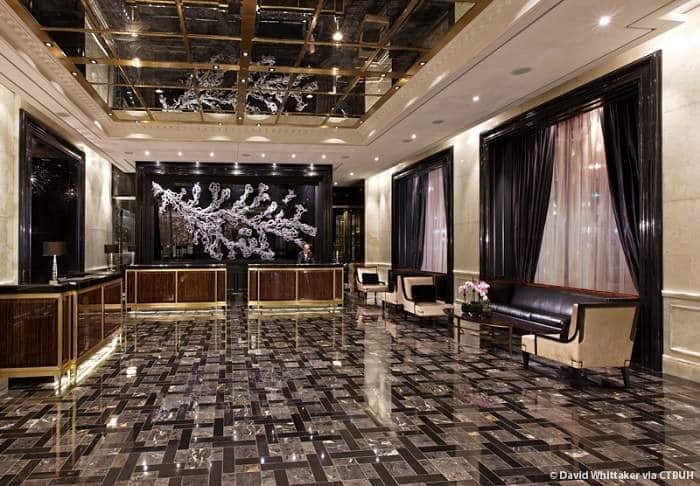 The lobby, which is the first thing you see as you enter the hotel, borrows aesthetic elements from champagne and caviar. The building itself soars 65 stories, and it stands near the Rogers Centre and CN Tower. Some of St. Regis’ main highlights include butler service, a spa that spans two floors, Champagne sabering in Astor Lounge, a Movement Studio for Yoga, and a gym featuring Technogym equipment. The steam baths, heated indoor swimming pools, saunas, and whirlpool help guests relax and unwind before spending a memorable evening at one of the local bars or restaurants. Pets are allowed at St. Regis, and their stay is free-of-charge provided you book through Magellan. New York City is undoubtedly the most famous city in the world, and apart from its historic landmarks and amazing restaurants, it also includes some of the best hotels on the globe. InterContinental Barclay is one of these hotels – an architectural masterpiece that has been gracing New York’s visitors for 80 years. The hotel was built in 1926, and one of the things that allow it to stand out is an impressive train platform located in its basement. Moreover, each and every guest room comes with its own floor-to-ceiling landscape mural, which was painted entirely by hand following the principles of the Hudson River School style. In 1940, when Ernest Hemingway was working on his renowned “For Whom the Bell Tolls” piece, he checked in at Barclay in order to finish his work. Primary hotel amenities include the Gin Parlour, the Technogym, and Club Intercontinental. The rooms are divided into several categories, including Superior King and Queen rooms, Deluxe King, Deluxe Double, Executing King, Barclay King, and One Bedroom Executive suites. Napa is an extraordinary vacation destination in its own right, but the Harvest Inn in St. Helena goes one step beyond. 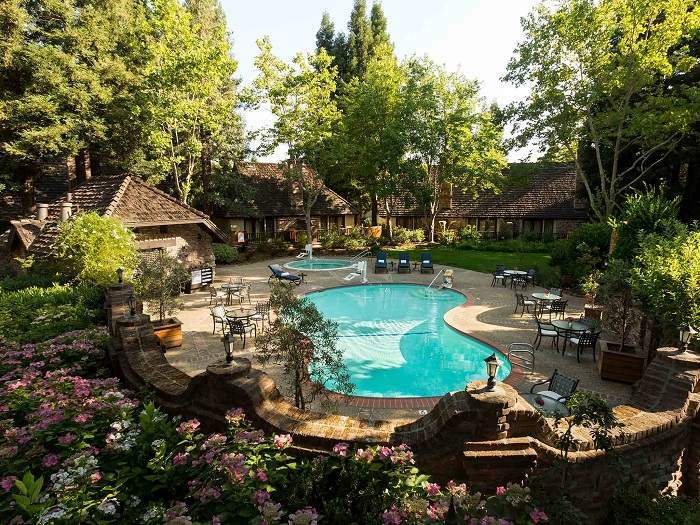 This is a picturesque eight-acre property that is located just one mile away from downtown St. Helena, thus making it ideal for both business trips and relaxing getaways. 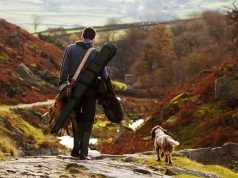 Those of you who can appreciate a unique mix of rusticness and luxury will undoubtedly want to come back here time and time again. As for the rooms themselves, they are divided into several categories, namely Harvest Guest Rooms, Harvest King, Harvest Fireplace Terrace, Harvest Suites, Vineyard View Collection Suites, and Vineyard Collection King/Spa. This resort was voted the 3rd best hotel in Northern California by Condé Nast Traveler’s 2016 Readers’ Choice Awards, which is no small feat. Dining-wise, there’s the Harvest Table restaurant, which provides alfresco dining opportunities as well as menu-based dining using fresh locally-sourced ingredients. Fun fact: the Harvest Inn hosts a gathering of cigar enthusiasts each month, which is reason enough to give it a chance. 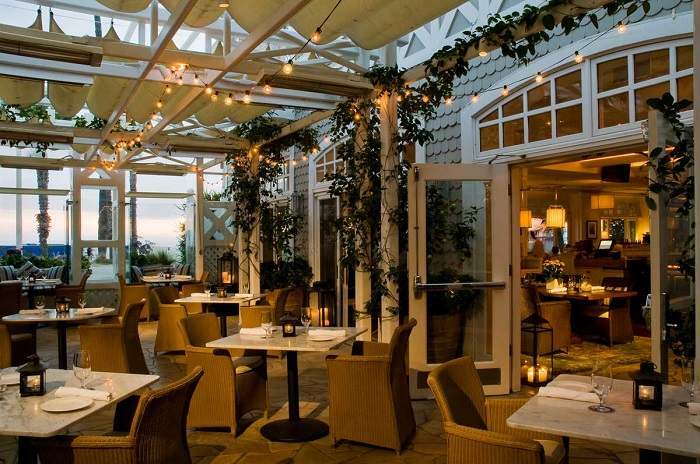 If you happen to reach Santa Monica during your journeys, you simply have to spend a few nights at Shutters on the Beach. This aptly named hotel is located on the shores of the Pacific Ocean, right next to beautiful sandy white beaches caressed by the ocean breeze. There are 186 rooms to choose from, as well as 12 suites that bear the unique design aesthetics of Michael S. Smith. The Santa Monica Hotel is all about relaxation and wellness. Therefore, spending some time at the local spa is basically mandatory during your stay, especially if you’ve never experienced the unique benefits of organic wellness rituals. Furthermore, delicious meals can be savored at the 1 Pico Restaurant, while the Coast Beach Cafe stands ready to indulge your sweet tooth or coffee cravings. It’s also worth mentioning that this is just one of two hotels located directly on the Santa Monica Beach. If you do decide to book this hotel through Magellan, you’ll be able to enjoy a few unique perks such as Complimentary Car Service, an Overnight Shoe Shine service, and a small breakfast credit. 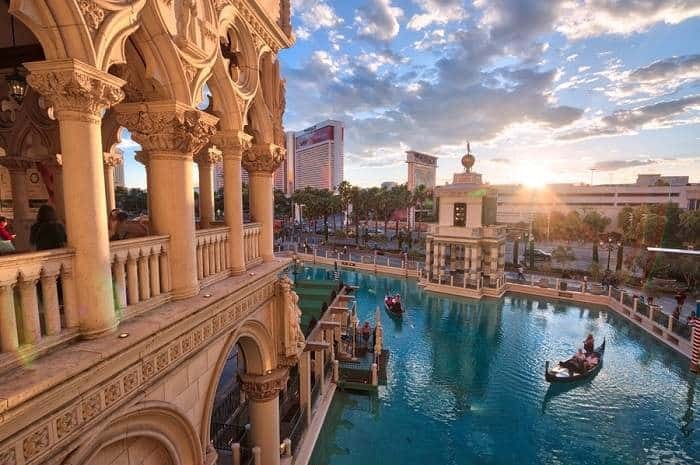 Becoming one of the most appreciated hotels in Las Vegas is a tall order, but you’d be hard pressed to find a finer establishment than The Venetian Hotel. 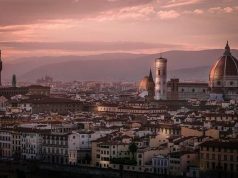 Boasting some of the best views in the city, and some of the finest rooms, this hotel offers a generous selection of accommodations such as Luxury suites, Bella suites, Piazza suites, and Prima suites. However, if your pockets are deep enough, you could opt to spend your time here at one of the top-tier suites, including the Presidential and the Chairman. Aimed at the world’s elite, the Venetian has been one of Las Vegas’ main attractions for quite a few years now. It will likely maintain its position, especially given the unique towering building that it operates from. Apart from its lavish rooms, the Venetian also impresses with fancy restaurants such as the Chica, Cut by Wolfgang Puck, Mott 32, and the Factory Kitchen. There are plenty of pools and spas to choose from as well, not to mention the on-site casino, which is there to scratch every gambling itch. Magellan perks include complimentary valet service and complimentary Wi-Fi.